Denpasar, (21/18) it has been held the releasing ceremony of the 20th Graduation Candidates of the Faculty of Social and Political Sciences (FISIP), Udayana University in the 3rd Floor Hall of Graduate Building, Udayana University, Sudirman Campus Denpasar. 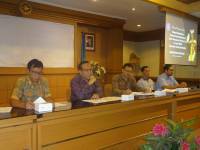 In its implementation, has been present Dean of the Faculty of Social and Political Sciences, Udayana University, Dr. Drs. I Gusti Putu Bagus Suka Arjawa, M.Si. as well as Vice Dean I, Dr. Drs. 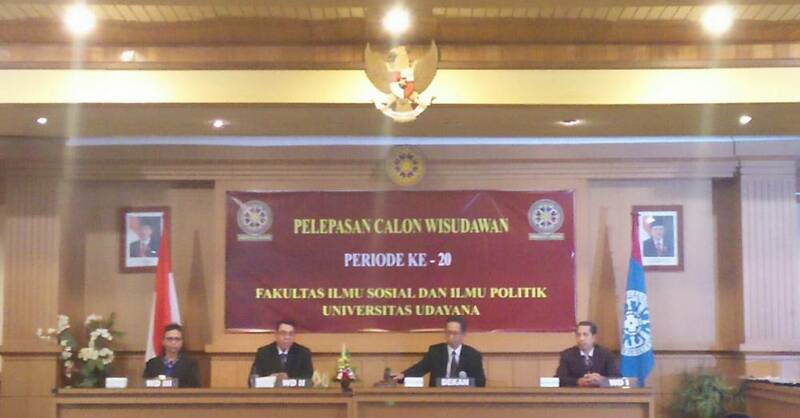 I Nengah Punia, M.Si., Vice Dean II, Dr. Peirs Andreas Noak, SH., M.Sc. and Vice Dean III, Dra. Nazrina Zuryani, MA, Ph.D. The opening ceremony was officially symbolized by the hammering act by Dr. Drs. I Gusti Putu Bagus Suka Arjawa, M. Si as the Dean of FISIP Udayana University. In this 20th period, there are 17 graduation candidates with bachelor degrees that came from Sociology Study Program, International Relations, State Administration Science, Political Science, and Communication Science. As well as a graduation candidate with an associate degree from the Diploma III Library Study Program. 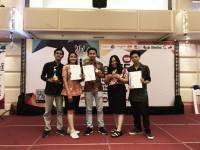 For the best graduate with a bachelor degree, it was achieved by Silya Christine Baracha Kaban from Communication Study Program with GPA 3.72 and the one with an associate degree achieved by Ni Wayan Anik Hartini Ari from D3 Library Study Program with 3.92 GPA.